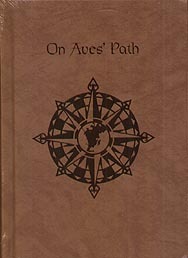 The Church of Aves spared no expense to create the new edition of the Great Aventurian Atlas. On special commission, a young Blessed One named Riziana set out with her companions on a years-long tour of the continent, and now you can relive this amazing expedition through their travel accounts and diary entries. Learn more about Aventuria via the entertaining story of a diverse group of travellers. This excellent and atmospheric addition to the Aventuria Almanac is written for GMs and players alike. Familiarity with the Core Rules is not required to enjoy this book.